Every year, kids across America pose for a first day of school picture. 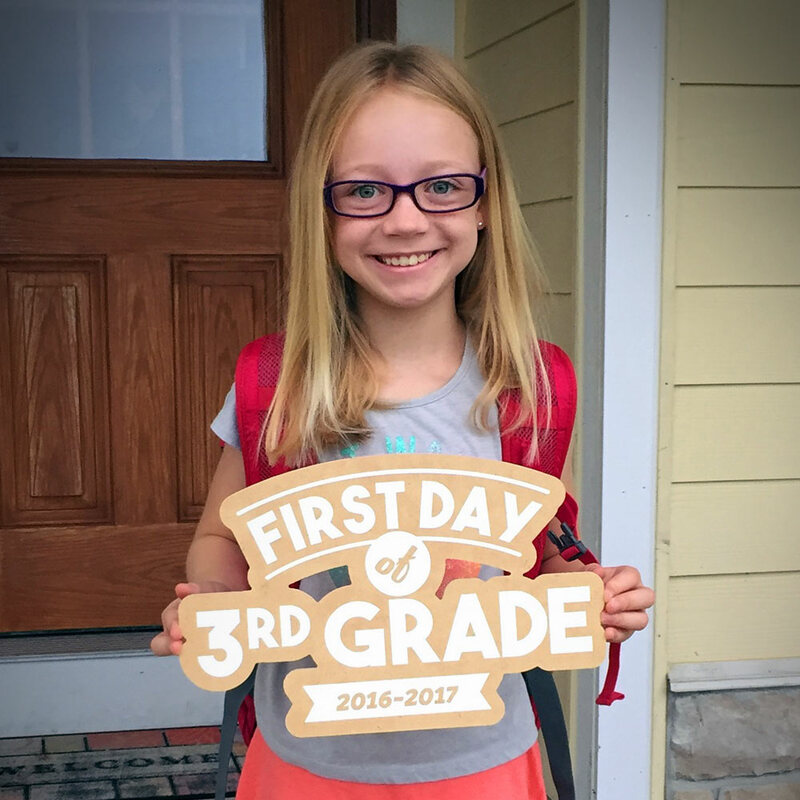 Typically, they’re holding a printout that mom and dad found on Pinterest – “First Day of 1st Grade”. That’s pretty boring! 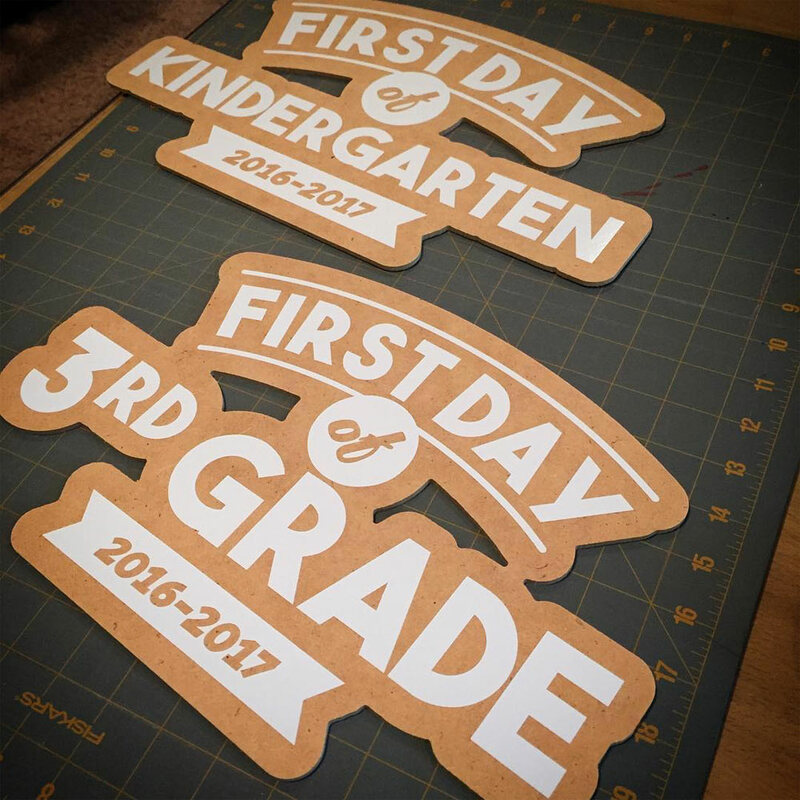 I whipped up a design in Illustrator, cut some vinyl and routed a piece of 1/4″ MDF on the CNC router. 30 Minutes later, I slapped it all together and gave them to the kids. The result was something a bit more substantial than the cliche printed Pinterest paper. Significantly more substantial and significantly more AWESOME!